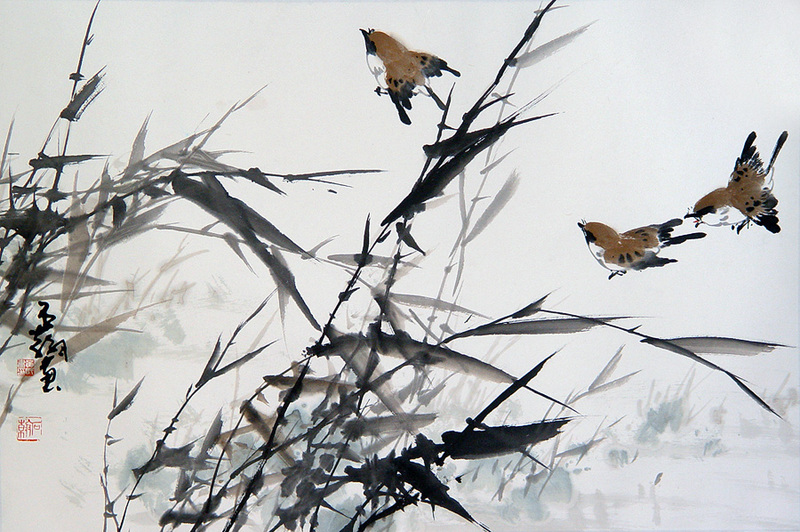 Birds Flying Through Bamboo, Shr Han, silk brocade mat, n.d. This entry was tagged aesthetics, art, Chinese culture, Chinese painting, music, my music, philosophy. Bookmark the permalink.